I want to do research on the Alert Program®. Can you support me? How can I prove the Alert Program® is successful in my setting? 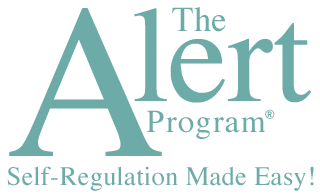 What evidence is there that the Alert Program® concepts work? Do you have a list of research or evidence-based practice information that supports the use of the Alert Program®? “Tracking Success!” is a value-added consultation service that supports the every-day practitioner, agency, clinic, or school. Using a systematic and customized approach, we help you optimize your use of the Alert Program® on an individual or system-wide basis. Consultation results in the design of a program evaluation framework that helps integrate, into day-to-day practice, specific strategies for measuring efficiency of implementation and effectiveness of outcomes. Identify what IS working & what is NOT working. Prioritize changes in service delivery. Increase credibility & value of your services. Gain administrative support & funding. Curious as to how the “Tracking Success!” process might support your practice? Contact us to learn more! Have more questions? Contact us to submit a request. Do you offer discounts or group rates? When do I need copyright permission to use Alert Program® materials?